The magical allure of central Italy has remained strong for almost three millenia. Tribes, kingdoms and empires have risen and fallen, and each has left its unique mark. It began with the ancient civilizations of Etruscans and Romans, endured the invasions of other European cultures, blossomed during the Renaissance to lead Europe out of the Dark Ages, and continues to evolve even today. Tuscany has one of the world’s most perfect combinations of history, art, cuisine, landscape, culture…and of course the people who make it all come to life. 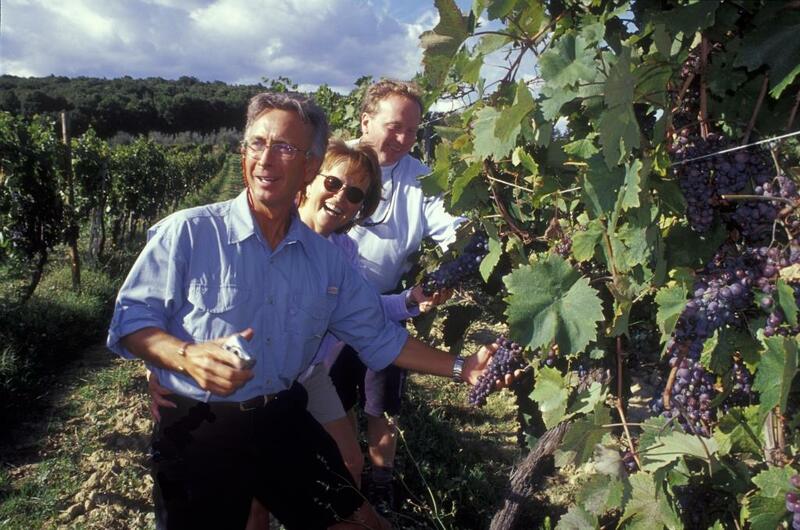 Join us on this special tour as we experience the annual grape harvest in Tuscany while exploring the towns and historic cities of this magical land, at one of the most exciting times of the year! On this adventure we stay true to our Go Get Lost philosophy of immersing you in the culture, introducing you to plenty of the fun local characters, indulging in the superb regional cuisine while cooking alongside local experts, enjoying some of the world’s best vintages, marveling at landscapes only a Renaissance painter could reproduce, and veering off the beaten path quite often to find the hidden gems we love. Best of all, we give you plenty of quality free time to wander, get lost, and soak up the ambiance of the area. You’ll be pampered with premier 4 Star accommodations, local guides to show you the secrets of the area, private transfers, and a Go Get Lost tour leader to make it all run smoothly. Historical city of Sienna Italy. Day 1 - Ben Venuti in Italia! 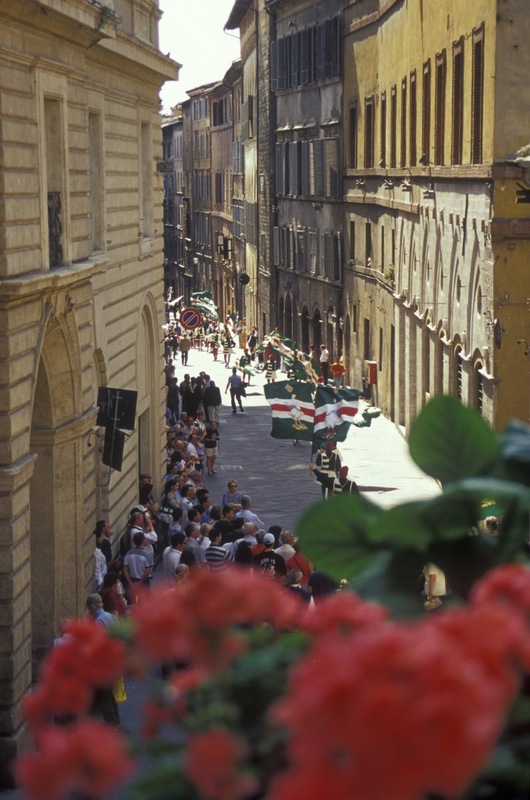 Your Italian adventure starts in the mid-afternoon today at your 4-Star hotel in the picturesque walled city of Siena. (You'll be provided with detailed arrival and departure instructions to help you coordinate your flights and travel.) We'll get to know each other at a "get-acquainted party", then meet our local guide for a private tour of the medieval city. When you combine the history of Siena with the current traditions of its inhabitants, you'll find that Siena is arguably one of the most fascinating, one of the most unique, and one of the most vibrant cultures in all of Europe! The Senese have kept alive the customs of their ancestors, and in fact live it every day. 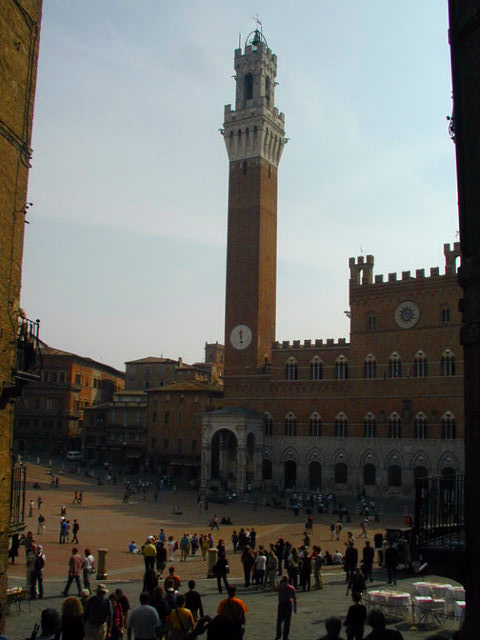 We'll visit the Cathedral complex, the Piazza del Campo, and San Domenico Church. 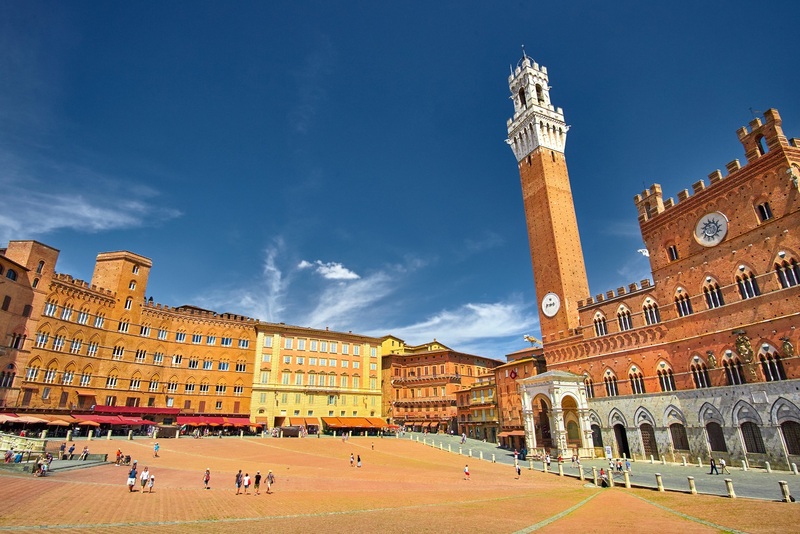 As you explore the city you'll marvel at the huge span of history represented in its architecture, from the Romans to the Renaissance to the Goths, Siena is a landscape of all the civilizations that have dominated here. Tonight we will take you to one of Siena's best restaurant gems, tucked away on a very quiet side street, to experience yet another side to the food and wine culture of the region. 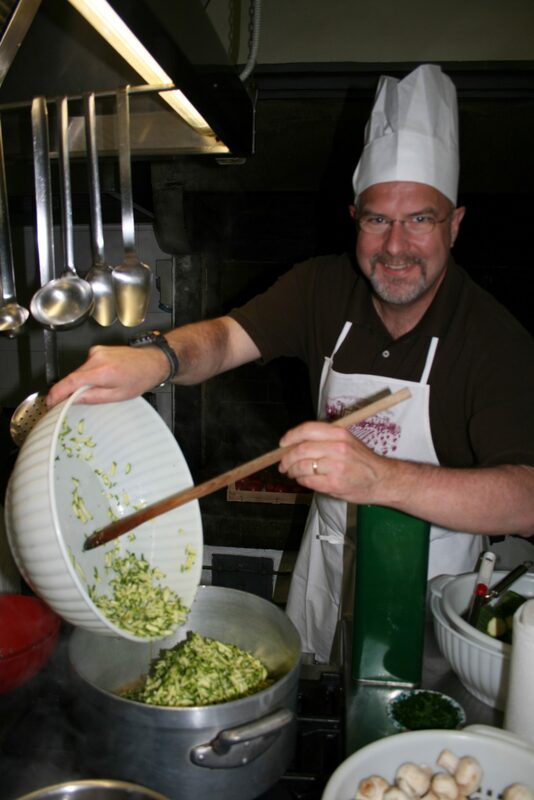 Siena has striven with Florence for political and military dominance for hundreds of years, and they have made sure that their cuisine also rivals their larger neighbor to the north! If time allows we can have a traditional after-dinner passegiatta tonight in one of Italy's most beautiful squares, the Piazza del Campo. 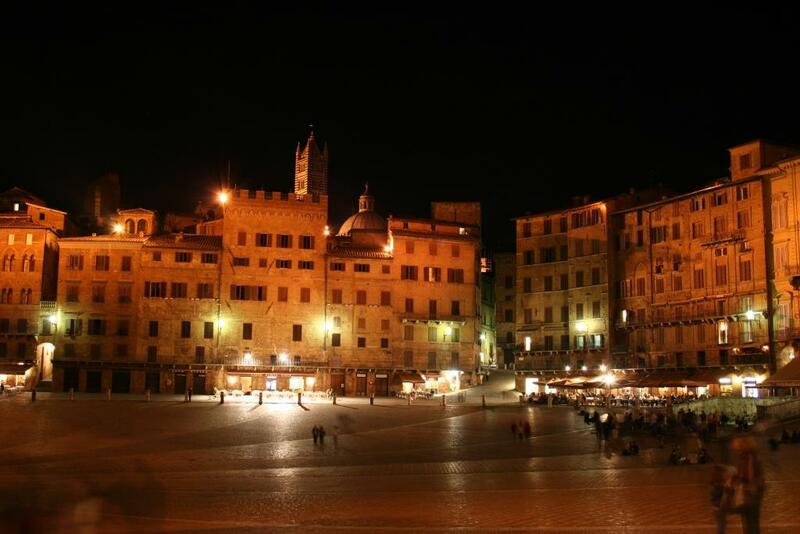 Strolling along with a gelato in hand under the soft lamplights of Siena is an experience to remember. As the morning sun bathes the Tuscan vineyards, we'll head out into the countryside to one of the most historic castles in all of Italy, Castello di Brolio. The original formula for Chianti Classico wine was developed here by the "Iron Baron" Bettino Ricasoli in 1872, and in fact the Ricasoli family still lives in part of the castle! Our friend and local sommelier will accompany us today to explain grape and olive cultivation and harvesting. We’ll even enjoy a short walk (all downhill!) to admire the stunning Chianti views. Eventually we’ll arrive at the Cantina of the Brolio Castle, where we’ll enjoy a tour of their winemaking facility. No wine tasting here, though, because we’ll save that for after the tour, when we visit the massive Brolio castle perched on top of the mountain! 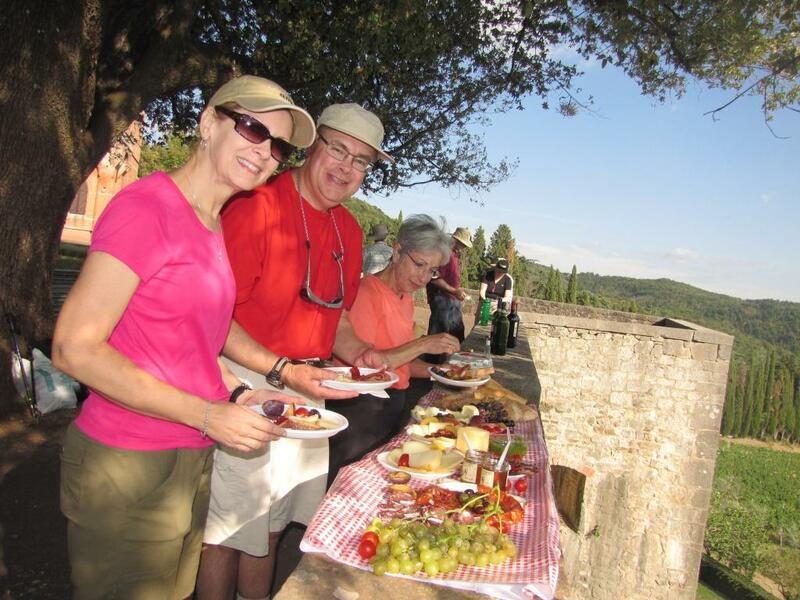 While you wander the grounds of the castle and take as many pictures as possible, the guides will be preparing a picnic of regional delicacies. You’ll enjoy your lunch while relaxing on the walls of the castle, overlooking the vineyards and forests of the surrounding countryside. To make our picnic even more elegant, our resident sommelier will host a wine tasting of some of the fantastic wines of Toscana. 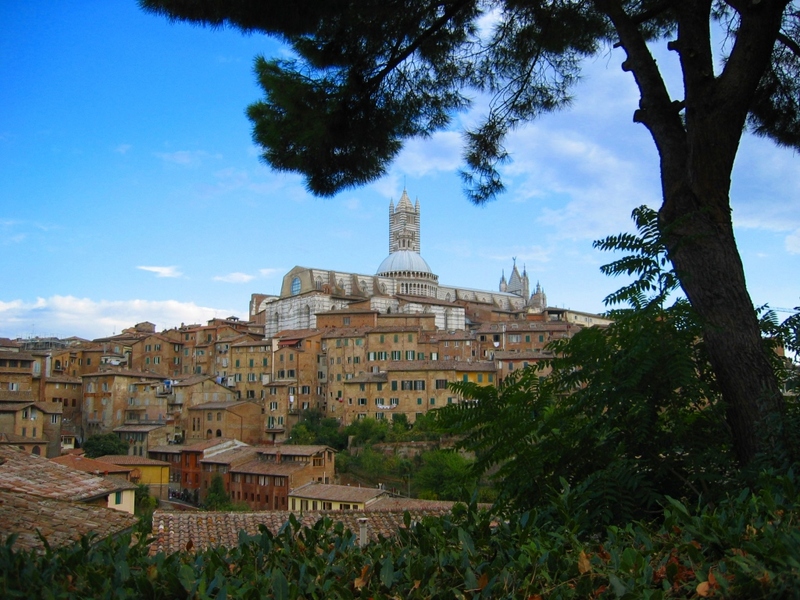 This afternoon we'll return to Siena, where you'll have the rest of the day free to explore. Endless winding cobblestone streets, squares, and hundreds of shops and stores make it one of the most delightful places in which to Get Lost! While you're exploring the town, keep an eye out for the perfect dinner spot. Or if you prefer, your guides can direct you to one of their favorites. Be sure to enjoy a late-night passegiata in the Campo afterwards! 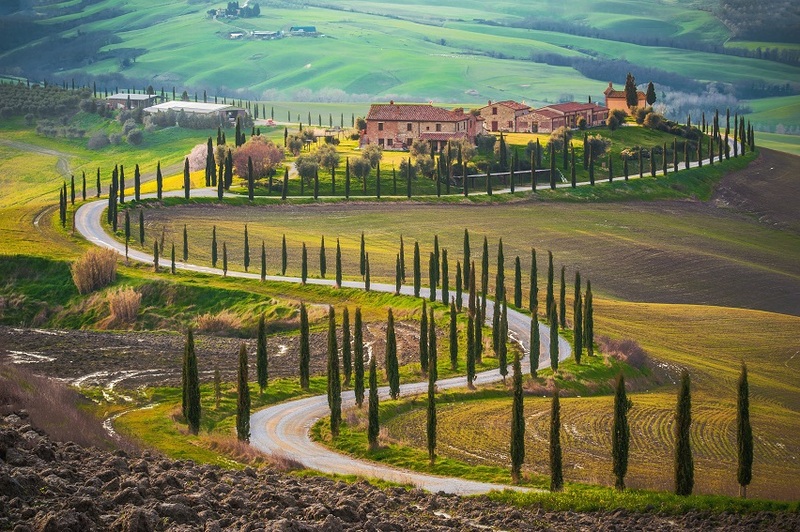 Today we board our private coach and head south into the famed wine region of Valdorcia, known worldwide for the classic Tuscan landscape of rolling hills dotted with Italian cypress, vineyards dominated by walled cities, and every other image you've ever seen on a postcard! 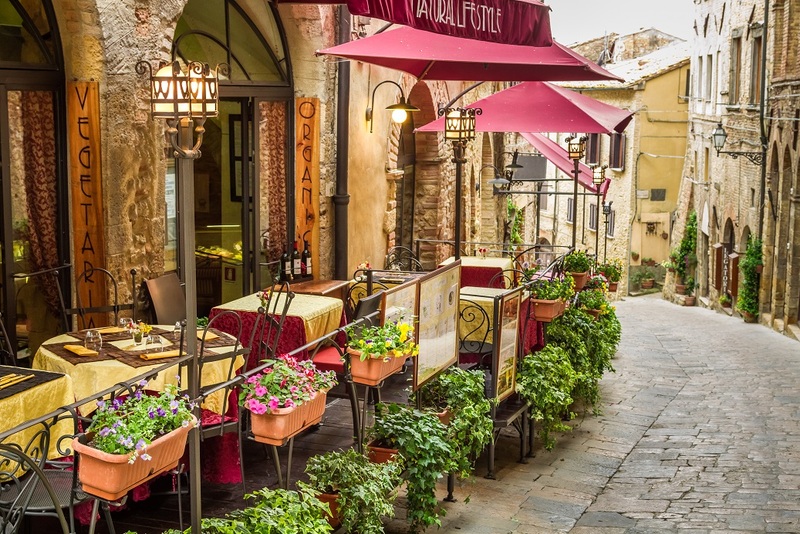 We'll stop first at the quirky little Renaissance town of Pienza, famous as the hometown of one of the most unusual popes, and even more famous as the center of cheese production for the region. This tiny town was catapulted to fame when one of it's hometown priests became Pope Pius II in 1459. He immediately began a renovation project to transform the town into a Utopian city. Today this little town boasts beautiful buildings and charming cobblestone streets lined with cheese and wine shops. The views from several points offer unique and breathtaking panoramas of the Val d'Orcia Valley, from Montalcino to Mount Amiata. All the wandering will no doubt make us hungry, so we'll outside the town's walls for a stop at a nearby organic agricultural farm. Here we'll enjoy a cheese tasting of their own various sheep and goat cheeses made from raw milk. During the tasting they will explain the stages of cheese production from hand–milking to the final product. 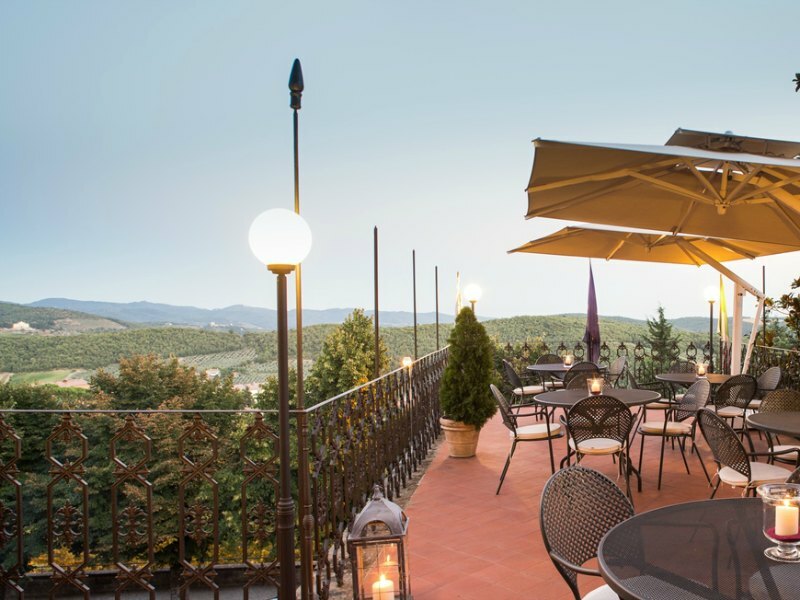 Meanwhile you may relax on the terrace with a breathtaking panorama of the Val d’Orcia Valley. We'll hang around here to have lunch, along with a glass of wine from their production range , home made bread baked in their own wood-oven and jam and honey to accentuate the cheese. All will make this an unforgettable journey into beautiful southern Tuscany. 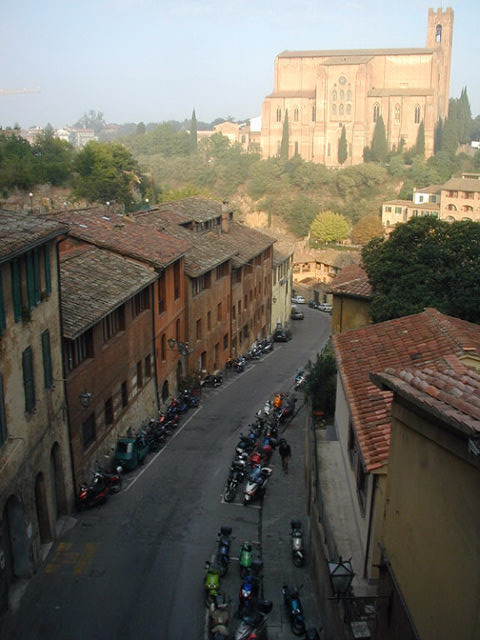 Of course after eating we'll need to do a bit of strolling, and what better place than the nearby town of Montepulciano. Standing imperious on a high ridge, Montepulciano seems to be the quintessential example of a picturesque medieval walled city. The town is full of elegant Renaissance palaces, ancient churches, charming squares and hidden corners, boasting vast panoramas all over the wonderful Val d'Orcia and Val di Chiana valleys that surround it. The real draw, though, is the famous wine Vino Nobile di Montepulciano, produced from the unique Prugnolo Gentile grapes grown only on the slopes of the surrounding hills. You can taste this elegant, full-bodied red wine in any of the wine shops and vineyard shops that line the main streets of this medieval gem. Tonight we take you to yet another wonderful local restaurant...relax and enjoy! 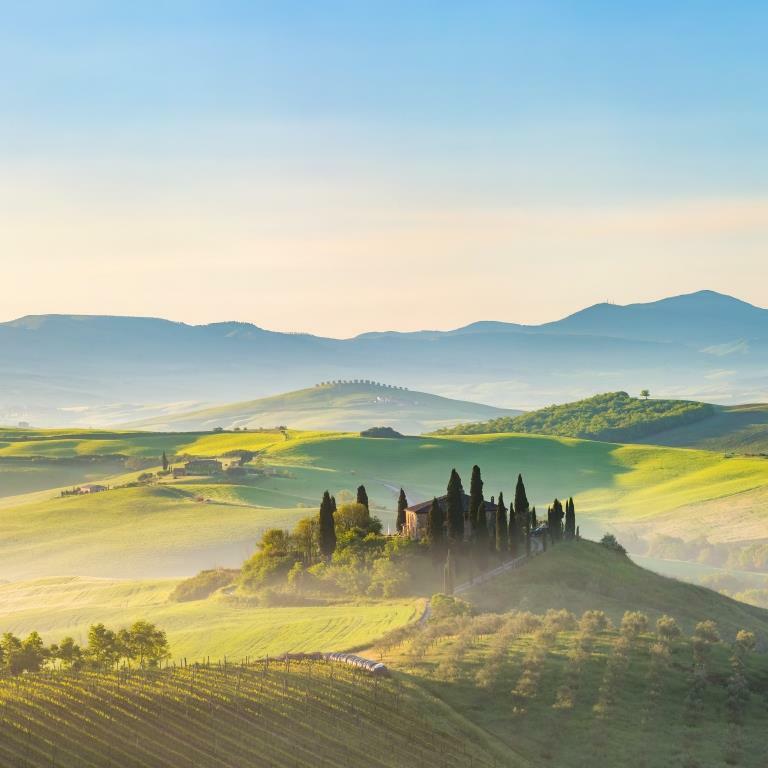 This morning we'll have a typical Italian buffet breakfast at your hotel, then depart on our private coach for a day in the Chianti countryside. Famous for it's scenic beauty and wine production, Chianti typifies the perfect balance of cultivated vineyards, forested hills, and quaint medieval towns. 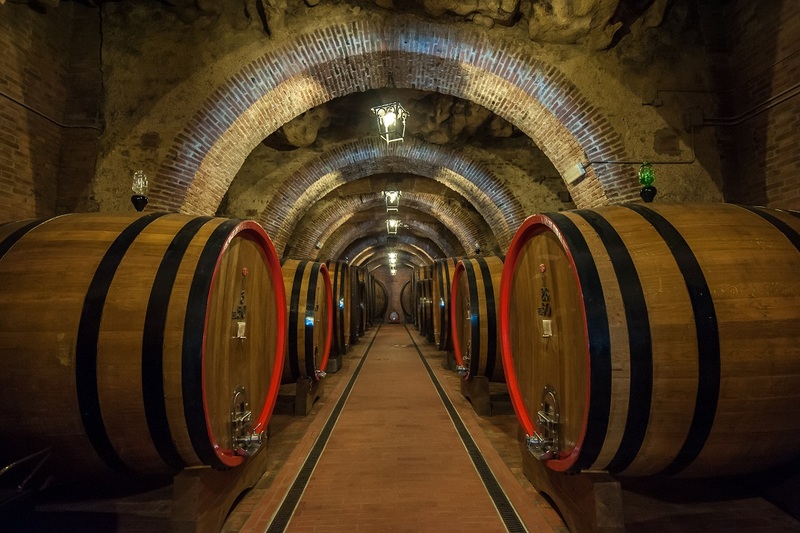 While traveling through the picturesque landscape you'll stop for a tour at a prestigious wine estate, renown for their excellent cellars and also for their kitchen. 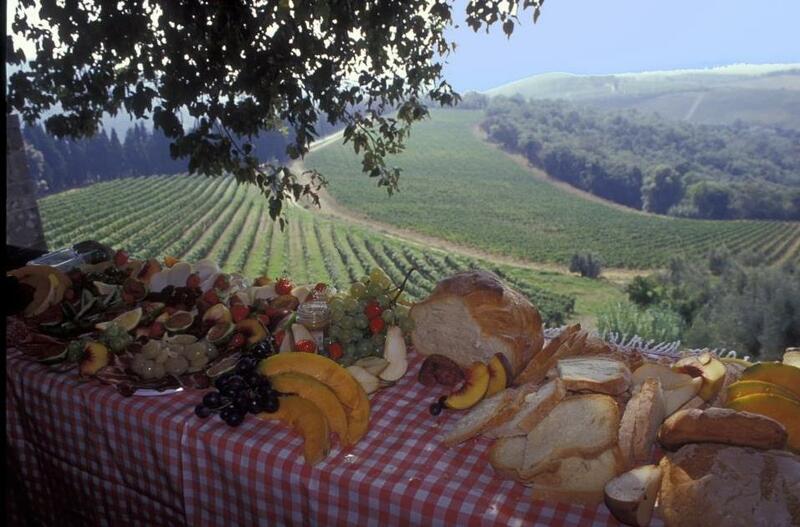 Then you'll relax and enjoy a typical Tuscan lunch, complemented by the estate's vintages. 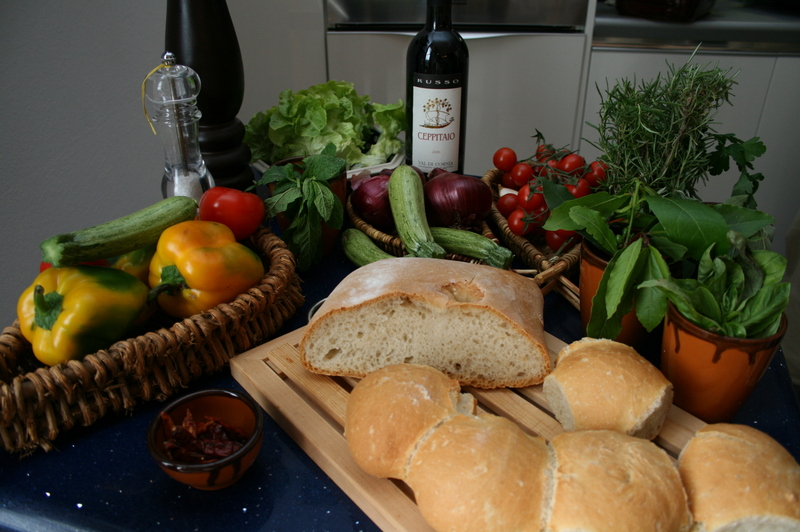 Tuscan cuisine, like all Italian regions, reflects the best of the local area. 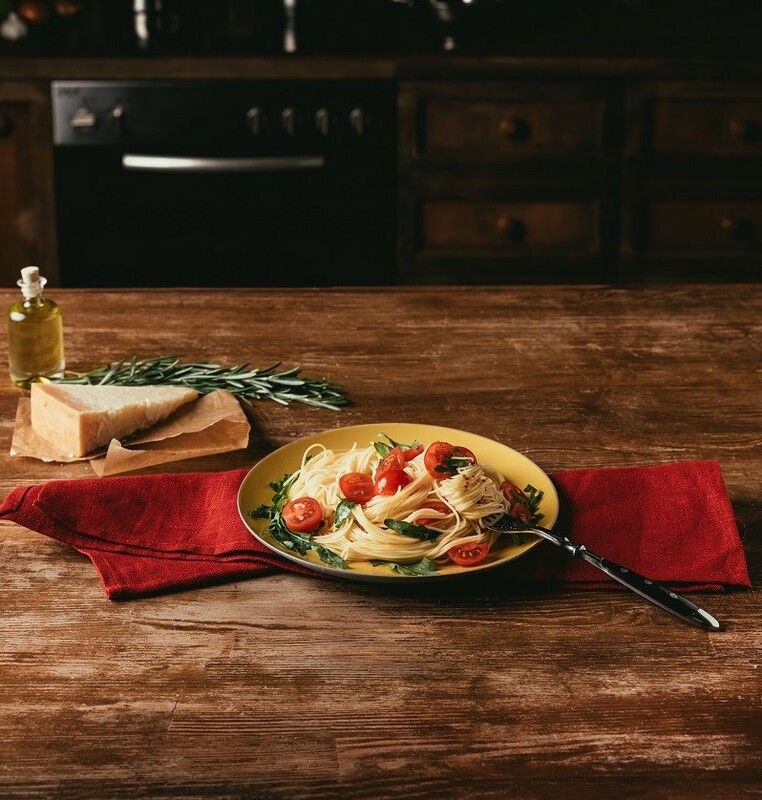 Fresh pasta is prevalent, along with salami, prosciutto, chicken, beef, and pork, with nearly everything organic and free-range, which has always been the natural way for Italians. Of course you'll find some of the world's best olive oils here, along with tomatoes, peppers and melanzane that are bursting with flavor. And the cheeses of this region are legendary, with literally dozens of varieties running the gamut from fresh and creamy to aged and robust...truly an epicurean's heaven! 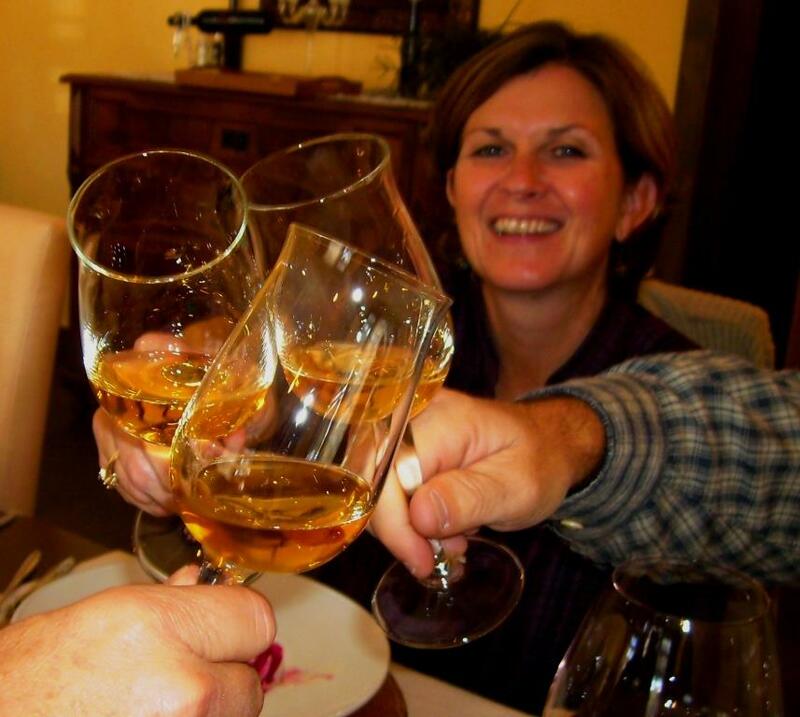 During your time in Italy with us you'll be introduced to some exquisite wines that can be found no where else, from marvelous honest farmhouse productions to wines from some of the top estates in the world, and everything in-between. After dining we'll have a short transfer to a pretty nearby town to wander a bit, then on to the picturesque village of Radda, to check in to your 4-Star accommodations in the town center. 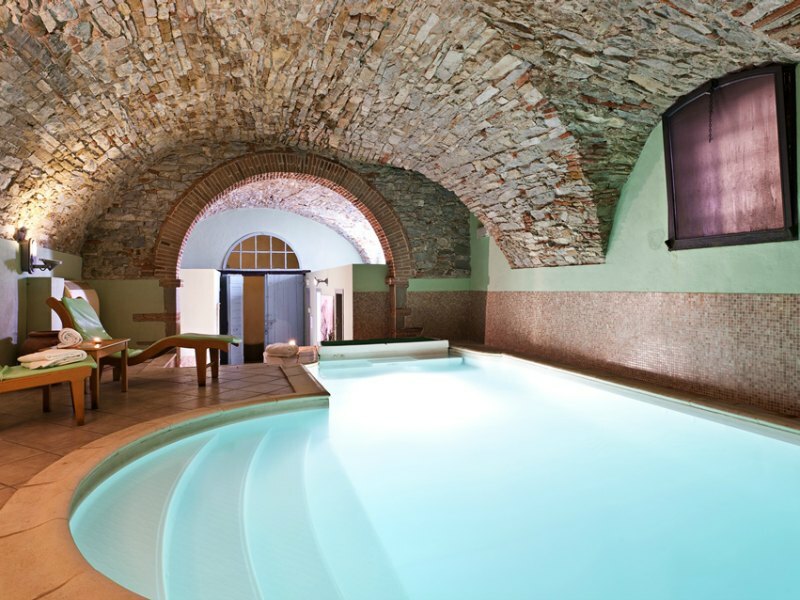 After the hustle and bustle of your journey you'll get to unwind in small-town Italy! This afternoon you'll have some time at you leisure, you can relax at the spa or pool, or you can choose to explore Radda village and the countryside. Tonight you'll enjoy an excellent dinner of regional specialties...followed by a good nights sleep! Today we make our way to one of the most stunning little villages of the area, Castello di Volpaia, a medieval fortified village located on a hill top in the heart of Chianti. The cellar at Volpaia is run by the Mascheroni Stianti family – who treat their often complex work with passion and enthusiasm. 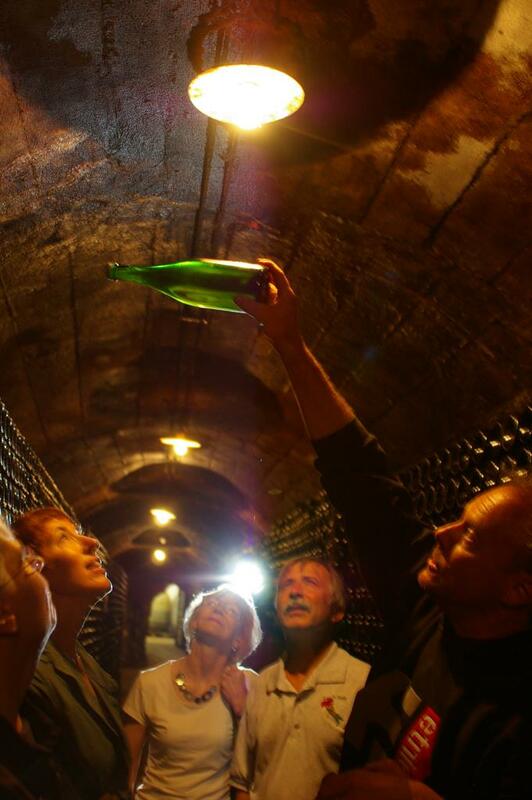 Behind the walls of the XI century buildings is all the modern technology required for fermentation, aging and maturing. 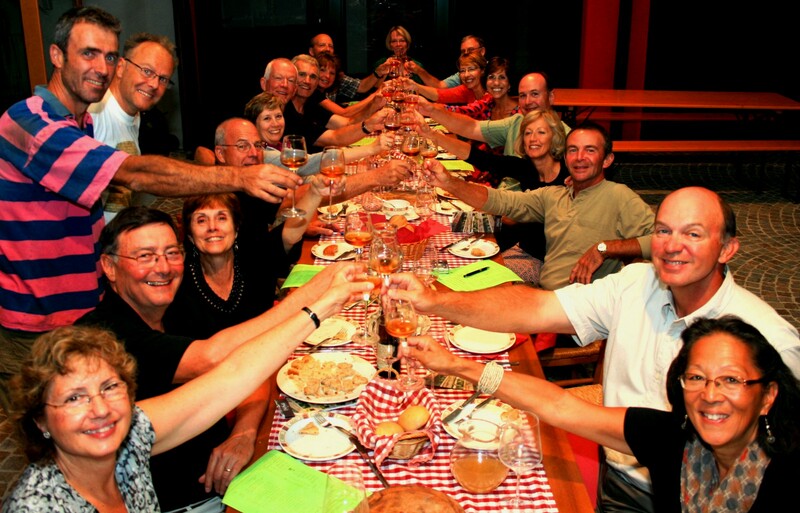 At Volpaia we'll have a tour of their wine cellars and olive mill, followed by a tasting of their production. 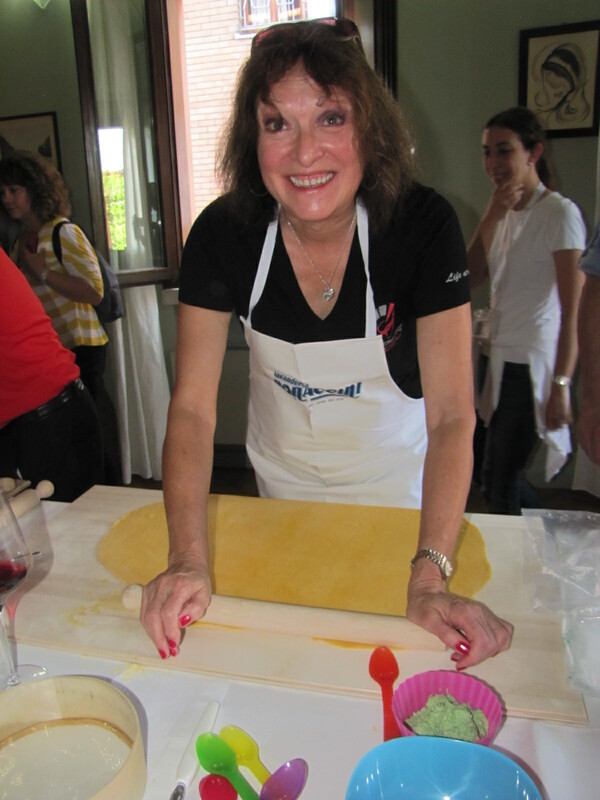 Then it's time to roll up our sleeves and get to work, as Giovanna teaches us how to cook a full Tuscan meal. Pay attention, you'll be eating what you cooked! After your fun culinary experience, you'll sit down to some of the best Tuscan farmhouse cuisine imaginable, complemented by the estate's wines. Depending on time we may visit another of Tuscany's quaint villages on our way back to Radda. You'll have the rest of the afternoon and evening free to relax or explore the cobblestone streets of the village. This morning we head west into the region known as the Chianti Colli Senesi, to visit one of the most ancient cities in Italy; Volterra. Perched on a lofty rock platform Volterra is an imposing fortified hill city with a dramatic, dominating view of the rugged countryside below. Built by the Etruscan civilization that pre-dated the Romans, Volterra in fact claims a history that goes back at least 3000 years. In Etruscan times it was Velithri, one of the twelve great cities of the Etruscan Confederation, with a domain that reached from the seacoast to the mountains. Volterra still retains much of its ancient flavor, and of particular interest are the many alabaster work shops where local artisans can often be seen carefully working the delicate translucent stone into vases and ornaments. Mined in the area since Etruscan times, Volterran alabaster has been prized by the nobility for nearly 3000 years. We'll have the opportunity to tour one of the shops and learn how the ancient art is still alive. 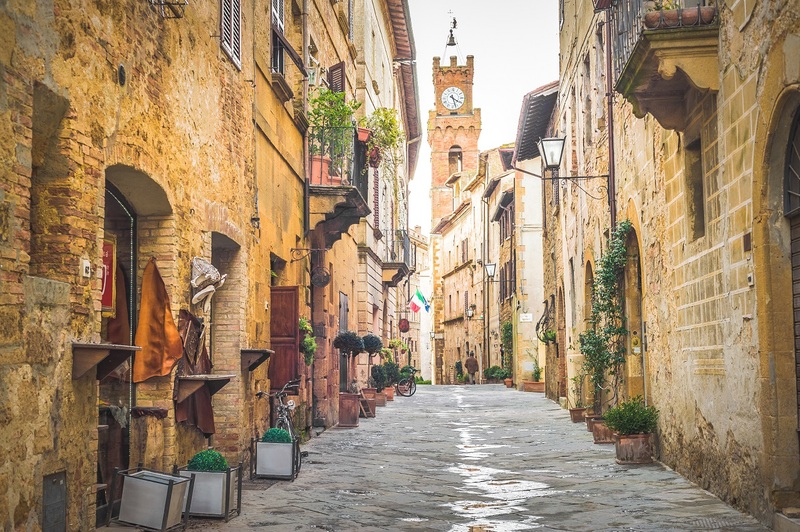 In Volterra you'll have some free time to wander and get lost. One stop for you might be to visit the world famous Etruscan Museum with the largest collection of Etruscan artifacts in the world. By now you'll have worked up an appetite, so we'll head into the picturesque countryside to one of our favorite local family farms for a tasting of their wines, followed by lunch. 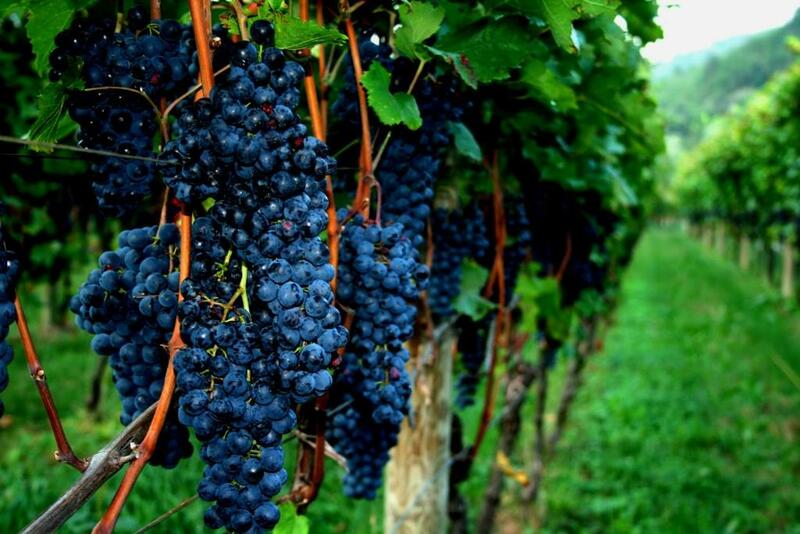 The farm covers ample acres of olive groves, vineyards, fields and forest. 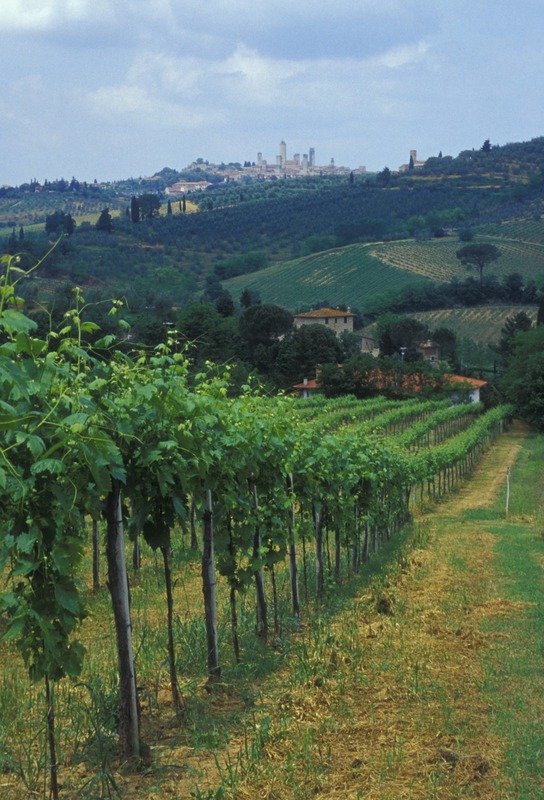 The farm's vineyards produce delicate white Vernaccia wine, a local specialty, along with several styles of robust Chianti. They also produce one of our favorite Tuscan olive oils, which along with the other farm products will figure prominently in our meal. The rule at their kitchen is you eat as much as you want, and then a little more! After our robust farm lunch, we'll walk it off by exploring the wonderfully bizarre town of San Gimignano, just a few miles away. 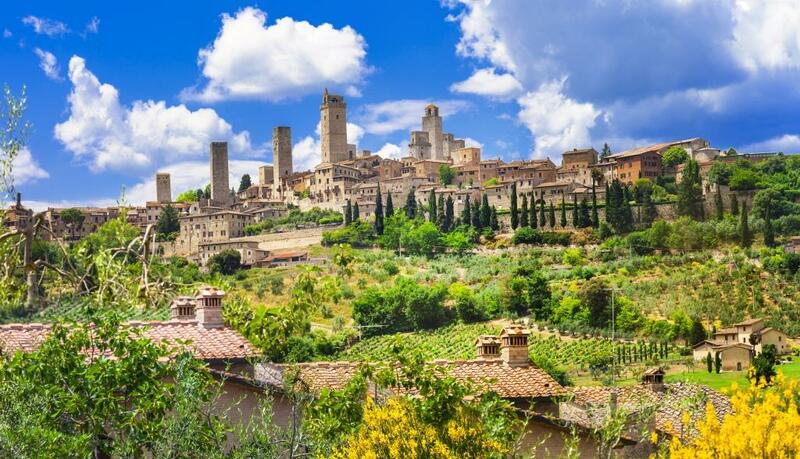 The high walls and narrow streets of this imposing fortress are typical of Tuscan hill towns, but the 14 medieval towers that dominate San Gimignano's skyline set it apart from all the rest. Here you can "get lost" in the maze of streets, shops, and cafes. San Gimignano is rumored to have one of the best gelato shops in all of Italy...may be worth a visit? For the not-so-faint-of-heart, a tour of the fascinating (and gruesome) Museum of Medieval Justice will provide an interesting yet terrifying glimpse of the past. Tonight we'll again find ourselves back in our lovely little village of Radda. 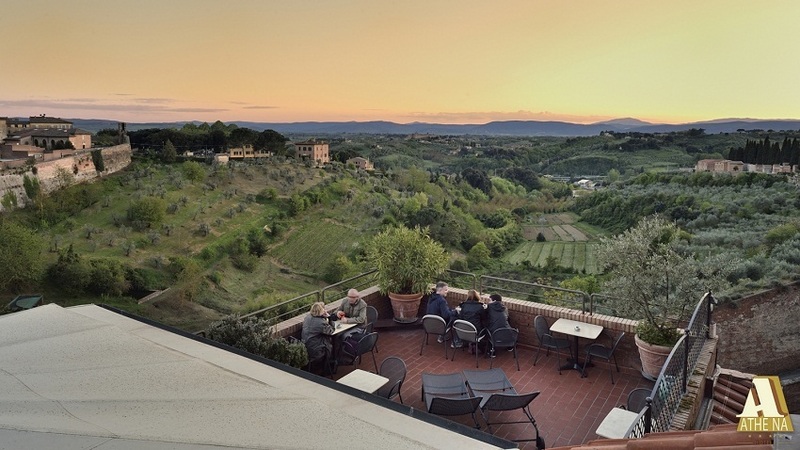 Hopefully you didn't eat too much at lunch today, because as this is our final evening in magical Tuscany, tonight we have an incredible farewell dinner planned at one of our favorite local restaurants. Adventures and misadventures from the previous week are re-lived and laughed about, everyone and everything is toasted, addresses are copied and goodbyes are exchanged with all your new lifelong friends that you "Got Lost" in Italy with! Day 7 - Arrivederci Italia! After breakfast this morning you'll have a private group transfer to the airport in Florence, where your Go Get Lost tour will end. Due to availability at the time of booking, hotels listed may change to similar hotels. Maximum of 3 single rooms on this tour. 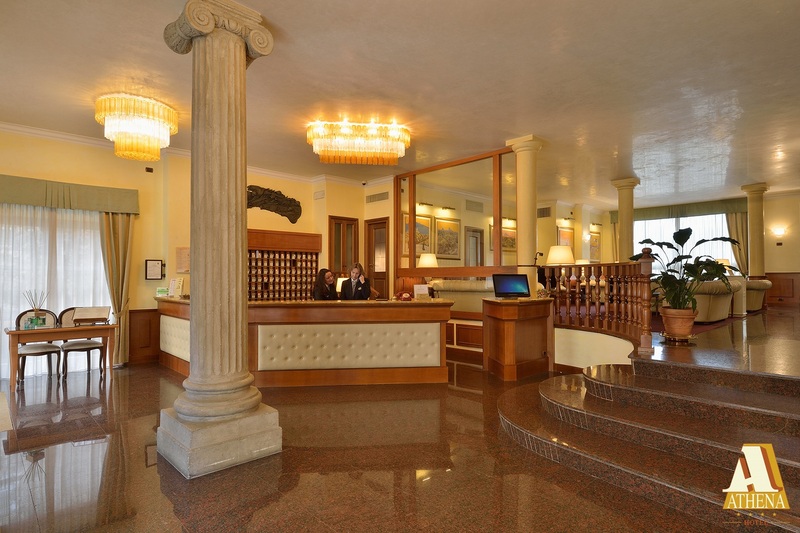 Siena – 4 Star Hotel Athena With a perfect location just inside the walls of Siena’s old city, the Athena is in a quiet residential neighborhood only a short walk from the center of Siena and its famous piazza, Il Campo. Modern rooms are tastefully decorated with dark woods and muted colors. With furnishings by local artisans, colors that echo the tones of the Tuscan landscape and the many comforts available, you will feel completely at home at ease, surrounded by the warmth of a welcome you will always remember. 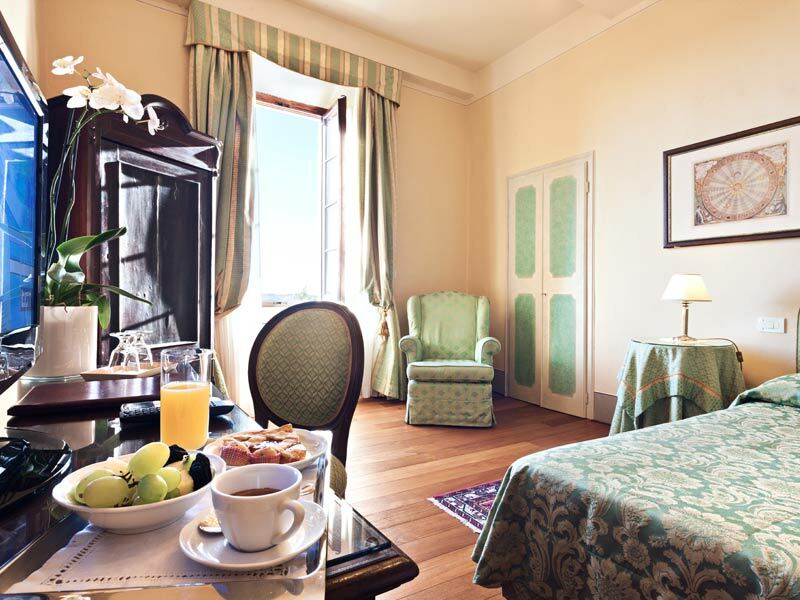 Radda in Chianti - 4 Star Palazzo Leopoldo Located in Radda in Chianti, Palazzo Leopoldo is an historic residence from which a hotel hotel has been created. If you are fascinated by history, traditions, and everything that brings to mind the atmosphere of the past, Palazzo Leopoldo is the ideal hotel, while still providing all the comforts that a prestigious hotel must provide to its guests. Although born as a hospital, in the past Palazzo Leopoldo was the cradle of local nobility and is mentioned several times in historical documents. 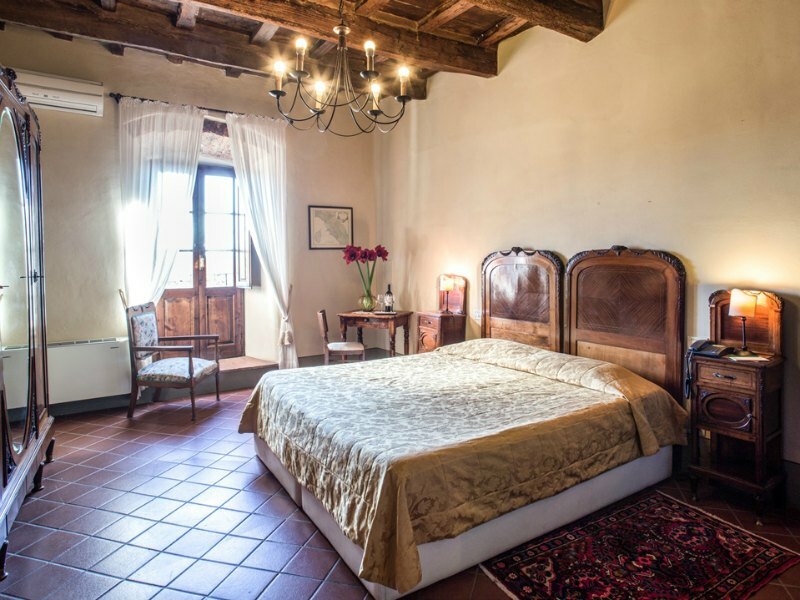 During the renovation this heritage has not been lost, so much so that today the palace can be considered one of the most beautiful luxury hotels in Chianti. Many rooms have been restored in the original version to continue giving the palace guests the feeling of splendor experienced in the times they were. Typical examples of this are the frescoes and terracotta floors, not to mention the original kitchen and the internal chapel. The luxury of the hotel then manifests itself in the rooms, the spacious suites where everything has been chosen to enhance the truly unique environments. A lifetime of unforgettable memories! Group arrival transfers. Tour begins in the afternoon of Day 1 at the specified hotel lobby meeting point, Tour ends on the morning of Day 7 at the airport in Florence.